Sneak preview of baby relish's birthday quilt. 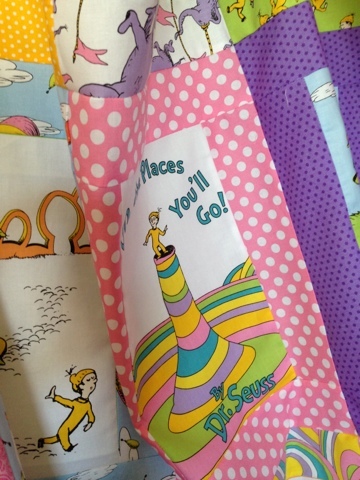 I am hoping to have it completed next week for Dr. Seuss' birthday. I will also try to post my first full quilt pattern tutorial. So check back next week (hopefully)!! 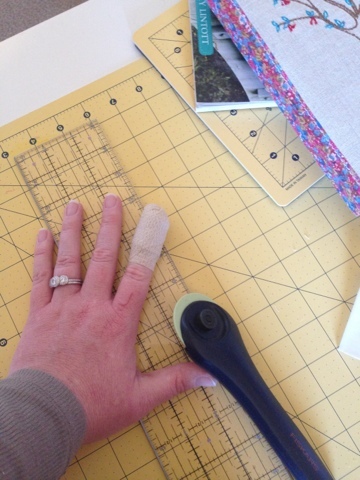 ps - had my first serious cutting accident with my rotary cutter. I say serious because this isn't my first but far worst. :( The good news is no blood got on the fabric!! Bottom picture shows how it happened. What was I thinking?!? I did get out of dishes last night...hehe!